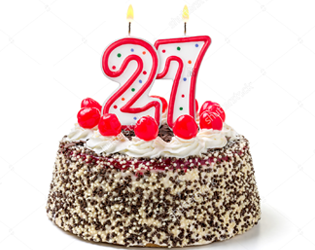 I turned 27 on June 18, 2015. At the time I was consumed by the number, and became obsessed with what it meant within the artistic community. The day was spent in somber contemplation about success, fame, greatness, and the infinite cycle that death presents. In the process of that day, this game was created. This story is of a musician who experiences extreme anxiety over the quality of their work amidst their 27th birthday. With a sense of doubt hanging over their head, they struggle through the creative process to find peace as an artist who sought the gaze of many. Note: This game deals with themes of suicide and drug abuse. It makes specific reference to past artists that may be considered uncouth. If you are experiencing thoughts of oblivion, please remember to keep waiting.